MTP continues its international series of events! 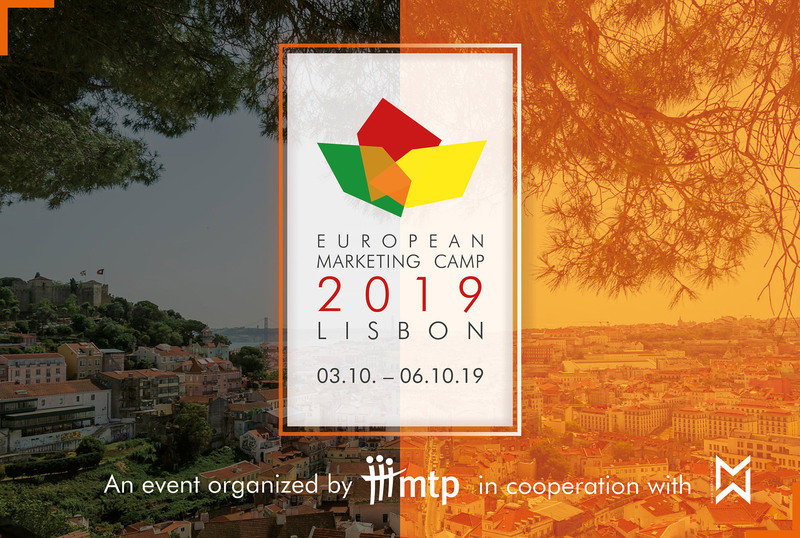 From the 3rd to the 6th October 2019, the European Marketing Camp in Lisbon will bring together around 150 student participants and professionals from various European marketing organizations. The European Marketing Camp of the MTP e.V. in Lisbon offers the platform for an informative exchange between representatives of the economy and highly committed students. The event is organized in close cooperation with the Nova Marketing Club, a student organization of the Nova Business School. Interesting lectures and an informative panel discussion will address challenging questions on the topic „Discover new ways“ from different perspectives. In addition, there will be stimulating workshops and the opportunity to network with people interested in marketing from all over Europe. Follow us on Instagram and Facebook to get the latest information. Our team will be happy to answer any questions you may have about the event.